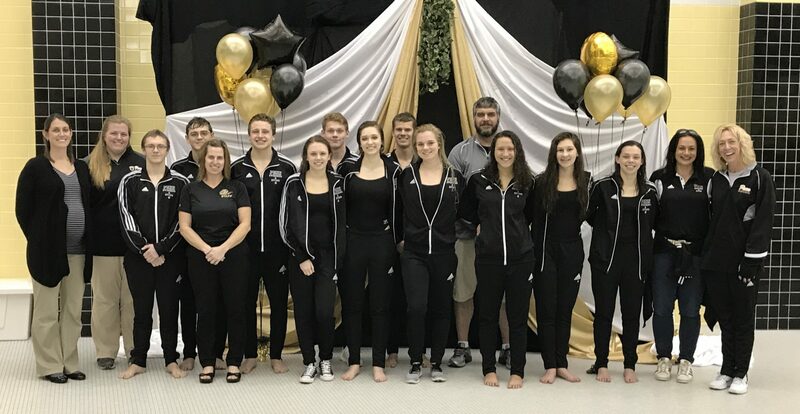 The Penn Boys & Girls Swim Teams dominated to earn a sweep of Marian on Thursday, Jan. 11. The Penn Boys Swim Team beat Marian 136-43. Axel Brandenburg, Troy Weber, Brad Pierce and Matt Rach won three blue ribbons each. Ethan Backhus placed first in two events. Penn’s Girls Swim Team beat Marian 149-35. Makenna Bottorff placed first in three events. Caroline Marks, Sydney Acito and Maddie Ziegert placed first in two events each.